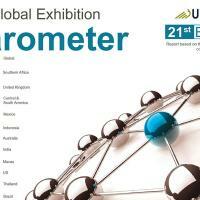 PARIS – UFI, the Global Association for the Exhibition Industry, has released the latest edition of its flagship Global Barometer research, taking the pulse of the industry. One of the key findings: for the first time in the past ten years, all four global regions have reported a positive turnover development simultaneously. In terms of operating profit, most companies maintained a good level of performance in 2017, and more than 40% of companies from all regions declared an increase of more than 10% compared to 2016. However, the prospects for 2018 are currently lower globally. Results also indicate that the top business issue for the industry remains the “state of the national/regional economy” (listed by 24% of all respondents), ahead of “Competition within the industry” and “Global economic developments” (listed by 18% of each respondents). For the second year running, the barometer included a section focusing on the state of digital conversion in the industry. The headline “Digitisation Implementation Index – DIX”, has moved slightly up to +32 (up +1 from last year). “We are pleased to see that the growth for 2018, anticipated 6 months ago, appears to be confirmed, and that this is the case in all regions of the world; at the same time, geopolitical uncertainty and specific industry shifts lead to cautious expectations in terms of profits. We also notice that a wide range of companies around the world are embracing the digitisation of our industry,” says Kai Hattendorf, UFI Managing Director / CEO. This latest edition of UFI’s semi-annual industry survey was concluded in July 2018 and includes data from a record 312 companies in 55 countries. The study delivers outlooks and analysis for fourteen major markets: Australia, Brazil, China, Germany, India, Indonesia, Italy, Macau, Mexico, Russia, South Africa, Thailand, the UK and the US. In addition, four aggregated regional zones have been analysed. Regarding turnover for the two halves of 2018 and the first half of 2019, all four global regions report that a majority of companies declare an increase in turnover, even when taking into account the companies who are uncertain about their turnover for the coming year: this is the case for around 7 companies out of 10 in the Americas, in Asia/Pacific and also in Europe. In addition, in Europe more than 8 companies out of 10 have positive expectations for the first half of 2019. In the Middle East and Africa the levels are a bit lower (6 companies out of 10, with higher levels of uncertainty). In terms of operating profit, 44% of companies from all regions declared an increase of more than 10% for the year 2017 compared to 2016. The highest proportions of companies declaring such an increase are observed in India (72%), Germany and the U.S. (70%). However, the prospects for 2018 are currently lower globally, with 37% of companies expecting a profit increase of more than 10%. Thus, while there is still a very healthy share of companies (35% to 45%) who, in each of the markets analysed, expect their profits to rise by more than 10% in 2019, this share of optimistic companies is generally lower than one year ago. This indicates a rather more cautious approach in light of international developments. When asked about their top business issues, companies report four main concerns: “State of the economy in home market” (24% in the current survey, down 1% compared to 6 months ago); “Competition from within the industry” (18%, down 3% compared to 6 months ago); “Global economic developments” (18% in the current survey, up 2% compared to 6 months ago); and “Internal challenges” (17% in the current survey, up 1% compared to 6 months ago). For several national markets, specific issues are very high on the agenda: “State of the economy in home market” in Brazil (37% of respondents), Russia (33%), South Africa (32%), Iran and Mexico (31%); “Competition from within the industry” in Indonesia (33% of respondents) and Macau (32%); and “Global economic developments” in Germany (31% of respondents). With digitisation accelerating in businesses around the world, this edition of the Global Barometer survey included questions on the state of digital activity for the second time. The results of this edition indicate that the “Digitisation Implementation Index” (DIX) towards a “full digitisation” is now at 32 globally, up slightly (+1) from last year’s inaugural research. Sixty-four percent of survey participants reported that they have added digital services/products (like apps, digital advertising, digital signage) around existing exhibitions and 54% stated that they have changed internal processes and workflows to be more digital. Germany, the U.K. and the U.S. are identified as the exhibition markets who are currently most active in the digital transformation process, with respective DIX scores of 46, 44 and 42. The 21st Global Barometer Survey, conducted in June 2018, provides insights given by 312 companies from 55 countries. It was conducted in collaboration with 12 UFI Associations Members: AAXO (The Association of African Exhibition Organizers) and EXSA (Exhibition and Events Association of Southern Africa) in South Africa, AEO (Association of Event Organisers) in the UK, AFIDA (Asociacion Internacional de Ferias de America) for Central and South America, AMPROFEC (Asociacion Mexicana de Profesionales de Ferias y Exposiciones y Convenciones) in Mexico, EEAA (The Exhibition and Event Association of Australasia) in Australia, IECA (Indonesia Exhibition Companies Association) in Indonesia, IEIA (Indian Exhibition Industry Association) in India, MFTA (Macau Fair Trade Association) in Macau, SISO (Society of Independent Show Organizers) in the USA, TEA (Thai Exhibition Association) in Thailand and UBRAFE (Uniao Brasileira dos Promotores Feiras) in Brazil. The next UFI Global Barometer Survey will be conducted in December 2018.